Widely hailed as an all-time classic, the 1942 American Romantic Drama film Casablanca had its world premiere on November 26, 1942, in New York City and was released nationally on January 23, 1943. It is based on Murray Burnett and Joan Alison’s unproduced stage play Everybody Comes to Rick’s. The film stars Humphrey Bogart, Ingrid Bergman, and Paul Henreid; it also features Claude Rains, Conrad Veidt, Sydney Greenstreet, Peter Lorre, and Dooley Wilson. Set during the early days of World War II, it follows A Cynical exiled American expatriate and former Freedom Fighter named Rick Blaine (Humphrey Bogart) who has opened up a popular nightspot in Casablanca in order to escape the horrors of World War II. Called “Rick’s Café Américain” it attracts a varied clientele: Vichy French, Italian, and German officials; refugees desperate to reach the still neutral United States; and those who prey on them. Although Rick professes to be neutral in all matters, He later reveals his involvement in the Ethiopian war with Italy and the Spanish Civil War. Rick agrees to help, then Laszlo unexpectedly shows up, having narrowly escaped a police raid on a Resistance meeting, and tries to persuade Rick to spirit Ilsa away to safety. Unfortunately the police eventually catch up with Laszlo But Rick convinces Renault to release him by promising to set him up for a much more serious crime. However Renault is eventually coerced into assisting their escape, which Strasser tries to prevent. When john Mayall formed a Chicago style Blues Band called , John Mayall’s Bluesbreakers he. Initially wanted to recruit bass player Cliff Barton of the Cyril Davies All Stars for the rhythm section of his new band. Barton declined, however, but gave him John McVie’s phone number, urging Mayall to give the talented young bass player a chance in the Bluesbreakers. Mayall contacted McVie, and asked him to audition for his band. Soon thereafter, McVie got offered to play bass in the Bluesbreakers. McVie accepted while still holding down his daytime job for a further nine months before becoming a musician full-time Under Mayall’s tutelage, McVie, not having had any formal training in music, learned to play the blues mainly by listening to B. B. King and Willie Dixon records given to him by Mayall. ln 1966, a young Peter Green was asked to join Mayall’s Bluesbreakers as the band’s new lead guitar player, after Eric Clapton had left. After recording A Hard Road, drummer Aynsley Dunbar was replaced by Mick Fleetwood. Green, McVie, and Fleetwood quickly forged a strong personal relationship, and when John Mayall gave Green some free studio time for his birthday, Green asked McVie and Fleetwood to join him for a recording session. Produced by Mike Vernon, they recorded three tracks together, “Curly”, “Rubber Duck”, and an instrumental called “Fleetwood Mac”. After having been replaced by Mick Taylor in the Bluesbreakers in 1966, Peter Green opted to form his own band, which he called “Fleetwood Mac” after his preferred rhythm section (Fleetwood and McVie). Mick Fleetwood immediately joined Green’s new band, having been dismissed earlier from the Bluesbreakers for drunkenness. However, McVie initially was reluctant to join Fleetwood Mac, not wanting to leave the security and well-paid job in the Bluesbreakers, forcing Green to temporarily hire a bassist named Bob Brunning. A few weeks later McVie changed his mind and joined Fleetwood Mac on bass in 1967. The band recorded its first album, the eponymous Fleetwood Mac which was released in February 1968, and established Fleetwood Mac as a major part in the English Blues movement.Fleetwood Mac started playing live gigs in blues clubs and pubs throughout England, and became a household name in the national blues circuit. In the next three years, the band scored a string of hits in the UK and also enjoyed success in continental Europe. While on tour, Fleetwood Mac would often share venues with fellow blues band Chicken Shack. It was on one such occasion that McVie met his future wife, the lead singer and piano player of Chicken Shack, Christine Perfect. Following a brief romance of only two weeks, McVie and Perfect got married with Peter Green as best man. Christine (now McVie) quit Chicken Shack however McVie persuaded Christine to join him in Fleetwood Mac. Fleetwood Mac went through several different line-ups, sadly frequent touring as well as John McVie’s heavy drinking began to put some strain on his marriage to Christine. In 1974, the McVies, along with the other members of Fleetwood Mac, moved to Los Angeles, where they lived briefly with John Mayall. ln 1975, Fleetwood Mac recruited American singer-songwriter duo Stevie Nicks and Lindsey Buckingham and Fleetwood Mac recorded the incredibly successful album Rumours. However the success brought serious marital problems for the McVies, and in 1976 John and Christine McVie divorced and As a way of dealing with the turmoil Christine wrote seven songs on Rumours s including“Don’t Stop”. In 1978 John McVie married Julie Ann Reubens, but still continued to drink heavily. In 1981, McVie agreed to go on the road with the Bluesbreakers again for the so-called “Reunion Tour” with John Mayall, Mick Taylor and Colin Allen. During 1982 the band toured America, Asia and Australia. (John McVie did not take part in the European Tour in 1983 and was replaced by Steve Thompson. An alcohol-induced seizure in 1987 finally prompted him to kick the habit, and he has been sober ever since. In 1989, McVie’s wife Julie Ann gave birth to their first child, a daughter, Molly McVie. In his spare time, McVie is a sailing enthusiast, and he nearly got lost at least once on a Pacific voyage. 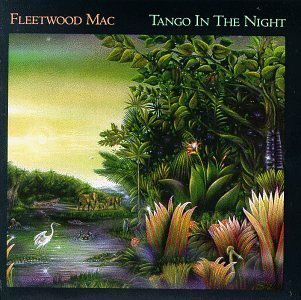 A naturally reclusive man, his involvement with Fleetwood Mac has been constant but notably low-key, despite the fact that the band takes the “Mac” part of its name from him. He received co-writer credits for “Station Man” and “The Chain” and He was also inducted into the Rock and Roll Hall of Fame in 1998 for his work in Fleetwood Mac. Sadly in 2013, McVie was diagnosed with cancer and is currently undergoing treatment. Singer, dancer, actress, and author Tina Turner a.k.a Anna Mae Bullock was born November 26, 1939. Her career has spanned more than half a century, earning her widespread recognition and numerous awards. Born and raised in the American South, she is now a Swiss citizen.She began her musical career in the mid-1950s as a featured singer with Ike Turner’sKings of Rhythm, first recording in 1958 under the name “Little Ann”. Her introduction to the public as Tina Turner began in 1960 as a member of the Ike & Tina Turner Revue.Success followed with a string of notable hits credited to the duo, including “River Deep – Mountain High” (1966), “Proud Mary” (1971) and “Nutbush City Limits” (1973), a song which she wrote. In her autobiography, I, Tina, she revealed several instances of severe domestic abuse against her by Ike Turner prior to their 1976 split and subsequent 1978 divorce. Raised as a Baptist, she melded her faith with Buddhism in 1974, crediting the religion and its spiritual chant of Nam Myoho Renge Kyo for helping her to endure during difficult times. After her divorce from Ike Turner, she rebuilt her career through performances, though she initially struggled to make an impact on the music charts as a solo artist. In the early 1980s, she launched a comeback with another string of hits, starting in 1983 with the single “Let’s Stay Together” followed by the 1984 release of her fifth solo album Private Dancer which became a worldwide success. “What’s Love Got to Do with It”, the most successful single from the album, was later used as the title of a biographical film adapted from her autobiography. In addition to her musical career, Turner has also experienced success in films, including a role in the 1975 rock musical Tommy and a starring role in the 1985 Mel Gibson blockbuster film Mad Max Beyond Thunderdome, as well as a cameo role in the 1993 film Last Action Hero. 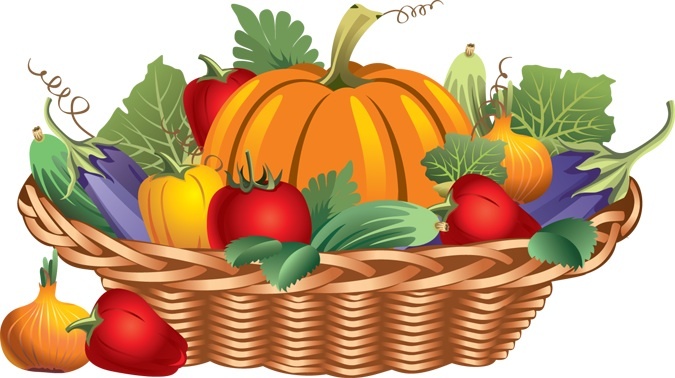 Thanksgiving, or Thanksgiving Day, is a holiday celebrated in the United States on the fourth Thursday in November. It has been celebrated as a Federal holiday every year since 1863, when, during the Civil War, President Abraham Lincoln proclaimed a national day of “Thanksgiving and Praise to our beneficent Father who dwelleth in the Heavens”, to be celebrated on the last Thursday in November.Thanksgiving was also celebrated nationally in 1789, after a proclamation by George Washington. 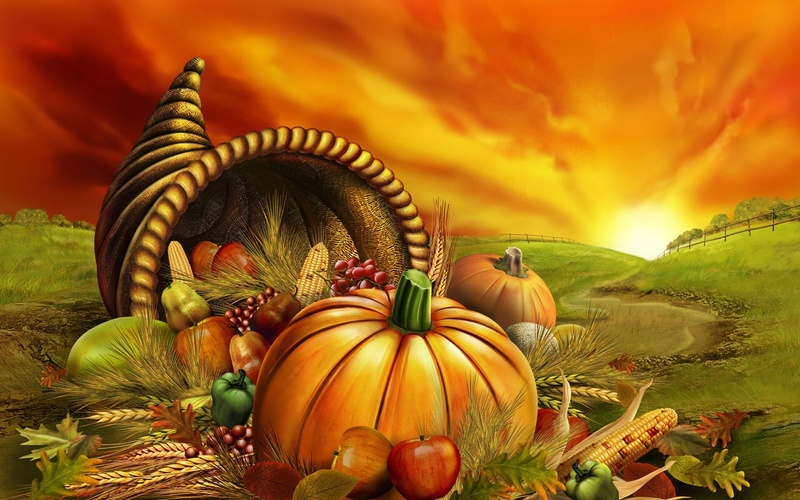 As a federal and public holiday in the U.S., Thanksgiving is one of the major holidays of the year. Together with Christmas and New Year, Thanksgiving is a part of the broader holiday season. 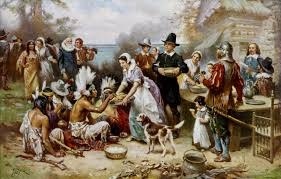 The event that Americans commonly call the “First Thanksgiving” was celebrated by the Pilgrims after their first harvest in the New World in 1621. This feast lasted three days, and it was attended by 90 Native Americans (as accounted by attendee Edward Winslow)and 53 Pilgrims. The New England colonists were accustomed to regularly celebrating “thanksgivings”—days of prayer thanking God for blessings such as military victory or the end of a drought. Setting aside time to give thanks for one’s blessings is a concept much older than the European settlement of the North America. According to historian James Baker, debates over where any “first Thanksgiving” took place on modern American territory are a “tempest in a beanpot”. The first documented thanksgiving services in territory currently belonging to the United States were conducted by Spaniards in the 16th century. Thanksgiving services were routine in what was to become the Commonwealth of Virginia as early as 1607, with the first permanent settlement of Jamestown, Virginia holding a thanksgiving in 1610.